Electric cars boss says noise is important, but don't expect a fake V8 sound. 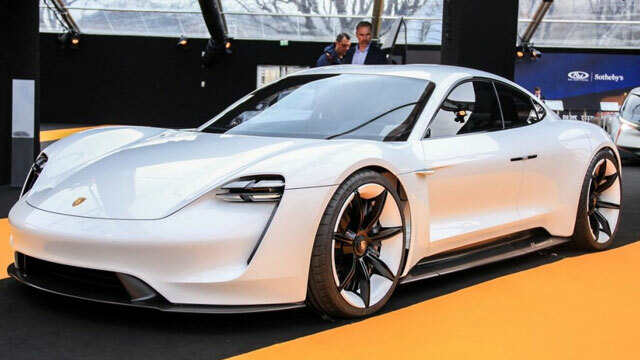 Porsche will not “lower itself to gimmicks” with its new Mission E electric sports car, the company’s head of battery electric vehicles has said. When quizzed about the noise Porsche’s electric vehicles will make, Stefan Weckbach admitted the importance of a vehicle’s noise, saying: “It’s true that our sports exhaust systems have been a huge sales hit in the current market for combustion engines and that they’ll be missing in the Porsche e-vehicle. Speaking ahead of theGeneva Motor Show, which opened its doors last week, Weckbach also appeared to have a dig atTesla, claiming that the Mission E will offer “reproducible performance” that “one of the U.S.-based manufacturers” cannot compete with. The Porsche Mission E will be a four-door coupe with a power output rumoured to be around the 600 hp (447 kW) mark, although it is unclear whether the car will match the Tesla Model S’ 2.5-second 0-62 mph (0-100 kph) time. The original concept boasted a 3.5-second benchmark sprint, but this may be improved for the production car, which is expected to arrive in late 2019. Keep the conversation going in ourInsideEVs Forumcovering electric cars and green technology. Start a new thread about this article and make your point.